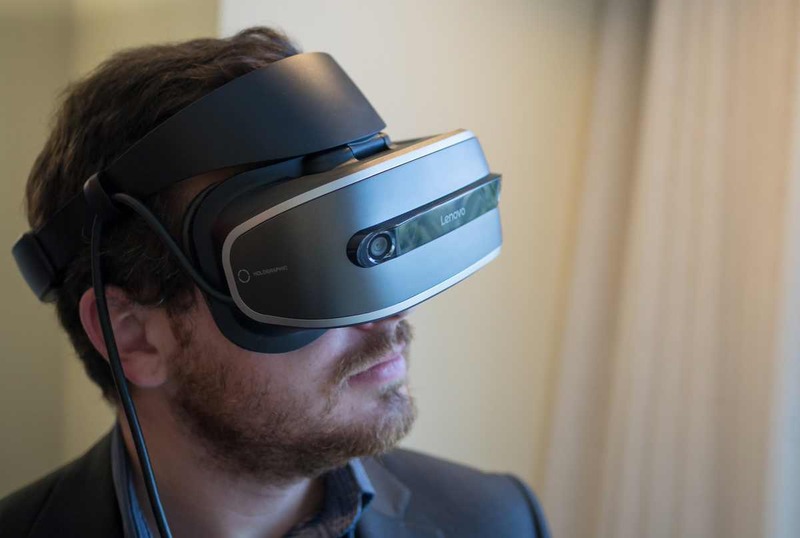 Lenovo reveals first Windows Holographic headsets at CES. In October, Microsoft announced that OEMs can make VR experiences for Windows 10 as the platform for their devices and leverage Microsoft’s Windows Holographic SKU to achieve this. 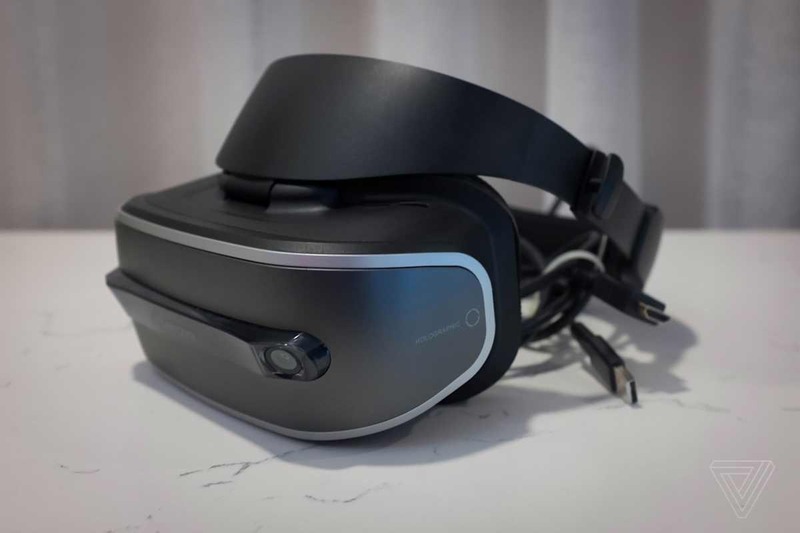 The latest Lenovo VR headset running the Windows Holographic platform is tethered and is lighter than most at around 350g. It includes two 1440 x 1440 OLED display panels, which is higher resolution than the Oculus Rift or HTC Vive. Like Microsoft HoloLens, Lenovo VR headset also offers 6 degree inside-out tracking meaning users are fully tracked in space without any external tracking devices or camera. Two front-mounted cameras allow augmented reality applications even without direct external vision. Lenovo VR headset does not include motion controllers. However, it will be compatible with other Windows Holographic peripherals. The device is expected to work with Windows Store apps and some HoloLens software. Lenovo’s Windows VR headset will cost you between $300 to $400. Check out Windows 10 VR PC requirements here.